Know that when life feels hard that there is a precious gift somewhere yet to be discovered in the “hard”. Be open to receiving the gift that is waiting for you. Seek it wholeheartedly. Find it with ease. Don’t turn it away just because it is not in your physical view. All of life is always conspiring FOR you!! Release your struggle. Invite ease. Stay open to the miracles. I find peace in every breath. I find joy in every breath. I find love in every breath. I find beauty in every breath. I find abundance in every breath. I find forgiveness in every breath. I find healing in every breath. I find faith in every breath. I find light in every breath. I find YOU in every breath! I am with You and You are with me…. That is ALL I ever need. My first reaction to life’s challenges isn’t always a positive one. Such was the case with certain events I encountered in the past year, particularly in the last several months. But the quote above by Bernice Johnson Reagon genuinely offers profound wisdom for people like me who find it difficult to battle life’s everyday challenges. 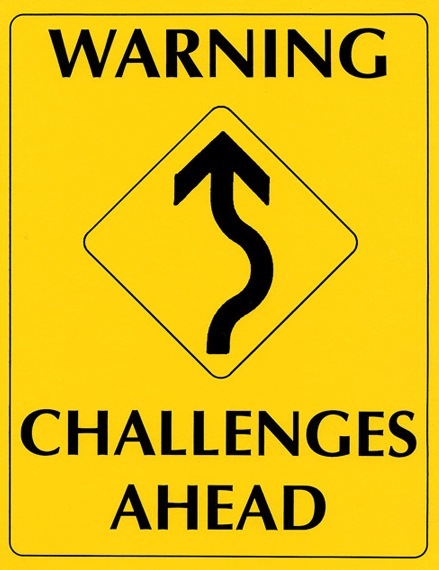 Admittedly, life’s challenges do throw me way out of my comfort zone just when life is flowing so smoothly. But if I look at the deeper meaning behind those challenges, they provide me with a multitude of opportunities to face my fears and to rediscover myself, my purpose, my strengths and my weaknesses. These challenges allow me to refocus on my relationship with the Divine and to find ways to strengthen my faith — the faith that sometimes wavers when I’ve hit rock bottom and I can only see darkness all around me. And I sometimes forget that there is a comfort and peace that is waiting for me if only I open my heart to receive it, if only I allow God to bear my burdens, if only I become still and listen, if only I put my complete trust in God and His timing. Paralyzed is how I felt amid some of my trials and tribulations recently. It was as if my life had come to a halt and all of my aspirations were delayed. It seemed as though all of the difficult events were controlling my life and in which direction my life would now be led. I had allowed myself to be defined by my problems and the uncontrollable challenges of my life. There were many days when the tears wouldn’t stop streaming down my face and there were countless moments when I sat in utter self-doubt, even questioning God’s ways, wondering about the turmoil and why my world was so shaken up all of the sudden. Despite the doubts and questions that had begun to creep in, God saved me yet again. Through it all, God was my strength. He reminded me that I could lean on Him when I couldn’t lean on my own understanding. He brought me back to Him because He knows that I belong only to Him. He knows that I will always be tranquil when I allow myself the time to experience His real presence. God knows that peace is promised when I deepen my knowledge of Him through nature, through others who are fighting a harder battle than I am, through the people who are ever-ready to shower me with their love, through my trials and tribulations, through His word, through acknowledging His beautiful attributes, through prayer and through my sincere efforts to become still. During my moments of stillness, I was privileged to feel the close and authentic presence of the Divine. It was in the quietude that the small still voice within began to change into an audible whisper to bring forth God’s love and wisdom. God whispered His beautiful truth into my ears when it was least expected. He enlightened me to open my heart and see the world with eyes of love, to heal my body and all the brokenness that resides in my heart and to be brutally honest with myself so that I can dance gracefully with my soul. He afforded me with innumerable opportunities to shift my consciousness, to continually be aware of how to better myself, to count my blessings no matter what the circumstances and to believe in the abundant beauty of the Universe. Every demanding experience, every trial of faith and every adverse event that I encountered couldn’t have been survived without God’s endless love that was poured into my life. He didn’t give me everything that I WANTED but He sure did give me everything that I NEEDED in my moments of hardship. And the most precious gift that I received was my very own best friend named God who was ever-present in each and every chaotic situation I faced. It is said that people will abandon you, fail you and break your heart but God will never do that because He only loves and forgives. So I want to take a moment now to thank my beloved God for blessing my life with His magnificent miracles. I’m so very grateful for God’s gentle nudges that remind me to stay centered while I continue to journey through this challenging phase of my life. I now stand stronger than before and more faithful than ever with only praise and glory in my heart for the Almighty and Omnipresent Creator of ALL. As a child, I remember singing the nursery rhyme, “Rain, rain, go away, come again another day” and it almost felt like I could shoo away the rain clouds and they would disappear instantly. But that has not been the case recently while some massive storm clouds have been hovering over my life. Over the last few weeks, I’ve found myself in some very heavy downpours. It’s true that when it rains, it pours. There have been times when the rain would start suddenly without warning. And sometimes, just when I thought the storm was nearing an end, it would only get worse! Life is so simple but amid the raging storms of life, it can seem so complicated. The truth is that it’s always raining somewhere. When the rain is headed my way and I wonder when the pain and heavy moments would end, I only know that by weathering these storms, I will come out stronger than before. So I continue to cling to my faith even when I feel so hopeless and helpless because I know that there will always be a beautiful rainbow after the rain. that would keep away all the rain in your life. and you would never even feel it. It is said that “Friends are the umbrellas in the storms of life.” Sometimes, your friends may need you to walk with them during the storms they face and other times, they may just want to walk alone. Nonetheless, a little bit of support and encouragement goes a long way. 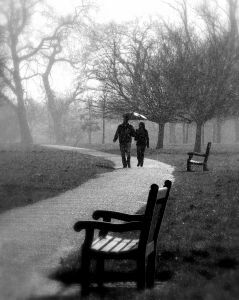 So who will you walk with through the rain? Thank you for this day. My day begins with You and ends with You. This past week was particularly difficult to endure. But from You, I found the strength to surrender many of my cares. I did this because I know that You will not fail me. There are no mistakes, accidents or coincidences…only divine appointments. I know that with each experience and encounter that You bring forth in my life, there is a lesson that You want me to learn. A lesson that will allow me to serve You in more ways than I can think of. A lesson that will only strengthen and change me. A lesson that will make my life more purposeful and worth my every breath. I cannot explain why I find myself constantly fighting with the Universe and the things that are completely out of my control. My need to control only worsens my internal conflict. Why do I do this knowing that I will only hurt myself more? Please forgive me for this and help me forgive myself for my past mistakes. Even though I don’t fully understand and know all the answers, help me to accept things just the way they are. You know what is best for me and You will give me far better than I can even imagine when I leave my cares, worries and problems with You. Please teach me to let go of these things quickly and easily, especially the “if onlys” and “whys”. When I awaken in the middle of the night about my cares, I am assured that I can rely on You for my source of comfort. In the midst of all the tossing and turning at night, many times You help me decipher and resolve my problems or You reveal a divine sign. Please help me continue to trust You wholeheartedly and relinquish my deeply-ingrained fears that are sometimes so downright scary to deal with. 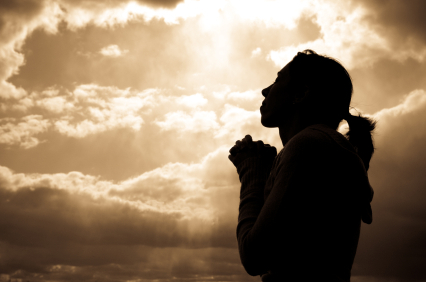 Please help me consider and look forward to the blessings that You have in store for me – those blessings that I may consider problems right now but these very well may be opportunities in disguise. The next several nights are very special and will be the most powerful. As I sit in Your remembrance during these nights, for each tear that streams down my face, there will be a prayer. I ask for forgiveness not only for myself but also for all my loved ones as well as my brothers and sisters in this world. Please help us all forgive each other and let go of the bitterness and resentments that we have held onto from our past experiences. Please heal each one and help us unite with each other so that we may live with peace, love and harmony in our hearts for each other. Your grace and glory are everlasting, and the way that You work in our lives is truly enlightening. Let us not stray from the right path and if we do, please help us return quickly back to You. May we all be directed by Your light that guides us to the path of forgiveness, love and righteousness. Thank you for blessing us all. Thank you for this day. Tomorrow is not promised and I seem to repeatedly forget this. There are a million unanswered questions in my heart about tomorrow and a void is left where those answers belong. I am easily tempted to fill that void with my frustration and anger. On those days that are so painful to walk through, I need to remember that there is a lesson in each experience that You offer me – the lessons that teach me to be more faithful to You. I wish to follow Your lead but very often, during my agonizing trials and tests of faith, I become oblivious of Your genuinely loving whispers and lose hope; that is when I want to seek you the most. Oh, how I forget that You are the Most High, the Almighty – the One whose love can fill the void in my heart. It is during these distressful times that my fears become bigger than my faith — when the light seems to keep getting further out of reach and all I want to do is give up. But then I remember that it is also during these times that when I choose to step outside of my circumstances, I find myself surrendering all of my worries, doubts and fears to You. When I just let it be and return to You, something truly miraculous happens. It is in this void that I find Your grace and Your divine utterance simply reminds me that this precious grace is enough, that Your love and guidance is enough for me to keep striving forward. You continue to work in my life to fill my emptiness so that every moment of my every day is meaningful. My journey remains blessed with Your daily miracles and I find myself wanting to go on, believing in Your miracles and Your way. Please be present in my heart all the way through. For everything in my life, I thank you!